I love visiting my sister. She lives in a college town, full of possibilites. When we went down for Thanksgiving, the house across the street was replacing all their old windows with new, energy efficient ones. You know I couldn't leave a stack of 15 windows sitting on the curb. 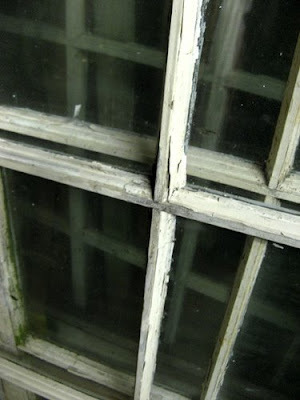 Yes, my friends, I found 15 old pane windows. I knew, somehow, some way I would find a use for them. I have a few ideas floating around in my head, but not enough ideas for all of them. There are some smaller ones and larger ones. One project, which I will reveal tomorrow, is that I made a chalk board out of one. It was easy and cheap, and fun to boot. We will talk about that tomorrow, though! What would you do with a stack of old windows? I have found things online like greenhouses, etc., but that is not what I am looking for. I know that I can incorporate these into the "cottage chic" theme of my home. I love your windows. My husband tears down old houses all of the time. I wish I could convience him to bring home some of the awesome windows that he finds. He just doesn't get it. I can't wait to see what you do with them. You could make mirrors from the glass part it could look really cool! You are so clever, I can't wait to see what you do with them! Score! What a great find! On Decorating Cents (on HGTV) one of the designers knocked out the glass, hinged the doors together and re-filled the panes with padded, fabric covered boards and made it into a message boards/screen for an office. The result was really cute. They had some real cute ideas for old window panes. Good luck and I can't wait to see what you do. Hi! I'm stopping over from SITS to say hello. You actually took ALL 15 windows. I could maybe, maybe, maybe come up with an idea for 5 but not 15. You are so ambitious and I envy you that! Thanks, AnnMarie for the reminder. Since I don't have any kiddos that will chew on furniture/wall art I think *maybe* we will be ok. It is a good reminder, though! BTW -- The chalkboard turned out fab! Can't wait to show ya'll tomorrow! I can't wait to see the chalkboard! I'm so envious right now, I can't even think of how to use them. This stuff just doesn't happen to me! 15?? Come on! :) I can't wait to see what you do with them! I love the chalk board idea, so cute! Can't wait to see pictures! My girlfriend has some on her walls just as they are. They are adorable. Score!!! That is awesome. Maybe you could use one of them as a cute way to hang your jewelry. Get some cute white hooks and nail them in, then hang some necklaces and bracelets on it. I would love that!!! Happy New Year!!! I saved some of my old windows for my sister. She's going to paint the panes of glass with different scenes.I asked her to paint sunflowers and vines on one for me. Maybe use them as a backdrop for a seasonal wreath? Or using a different color of sheer paint for each pane to hang in front of a window? So, I should be cleaning up Christmas, but I'm commenting on your blog instead! I haven't read all of your comments, so I apologize if someone already made this suggestion...You could make some sort of bulletin board by backing it with cork. You can upload photos and then it ages them, save it to your computer and print it out. It is really cool. And perfect for a shabby chic cottage look for the frame. I am envious of your find! photos! Use either one per frame, or go for impact and use a large one. Have you seen this fabulous web site? You can "age" photos, save them to your computer and print them out. That would be great for a ultra shabby chic look!